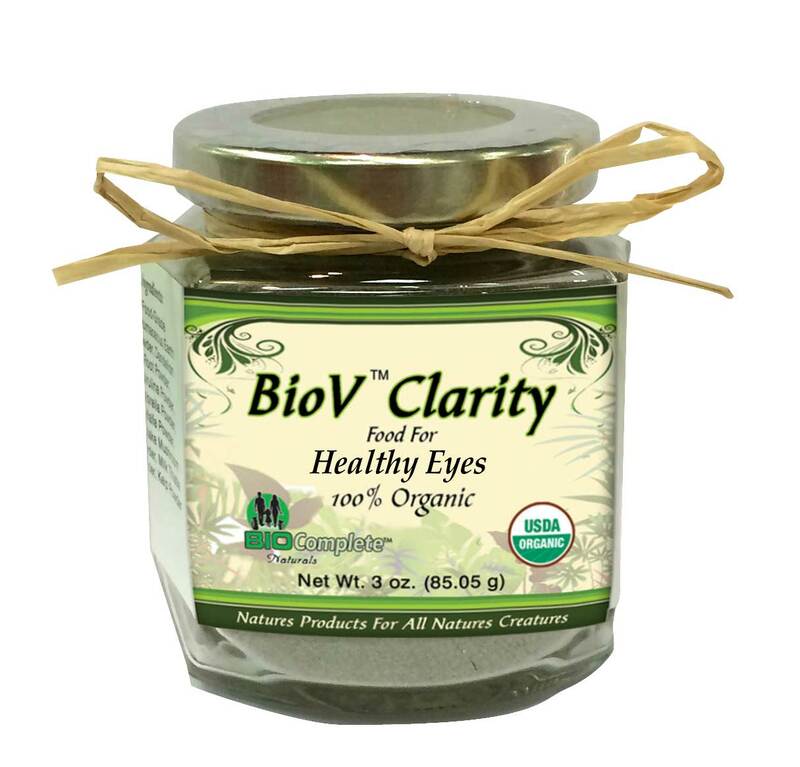 BioV Clarity Healthy Eyes - BioV Clarity Healthy Eyes - This blend is for support of eye discharge or stains, cataracts, glaucoma, diabetic blindness, chronic eye infections, cherry eye, and many other acute and chronic eye issues. It is formulated to detoxify and nourish the eye and related health challenges. BioV™ Clarity Healthy Eyes - This blend is for support of eye discharge or stains, cataracts, glaucoma, diabetic blindness, chronic eye infections, cherry eye, and many other acute and chronic eye issues. It is formulated to detoxify and nourish the eye and related health challenges. Ingredients - A proprietary blend of: Eyebright, Bilberry, Chlorella, Self Heal, Spirulina, Triphala and Dandelion and Diatomaceous Earth Powder (food grade).